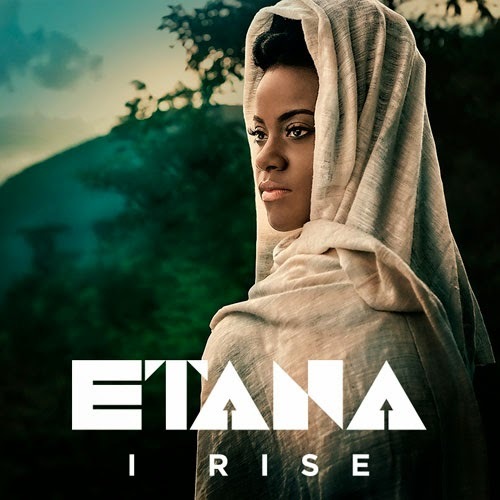 ONE AND ONLY: Etana's latest promises a savoury mix of rootsy anthems and soulful jams. Keeping tabs on Jamaica's recording artists eyeing a return to the album charts is full-time work. Albums on a whole might be experiencing dwindling sales across the planet, but thankfully that hasn't dissuaded some of reggae's brightest stars from churning out the work and putting it out there for public consumption — or diminished the quality of their creative output. Take Etana, for example. The multi-award-winning chanteuse already has a trio of hit albums under her belt - the pace-setting debut The Strong One and its pair of splendid sequels, Free Expressions and Better Tomorrow, testaments to her brilliant songwriting and vocal dexterity. The forthcoming Album Number Four, I Rise (due for release in October), is a 14-track collection that promises to deliver yet another mesmerizing sample of the artistic journey the singer (Marcia Griffiths' heiress apparent) is making. Ever since the respectable success of her last album, Jamaicanization (released circa 2011), Ce'Cile has been itching to drop a new disc. And as the veteran songstress tells it, her new project (the curiously titled Still Running) is well worth the wait. Ce'Cile is convinced the album's appealing diversity will entice. "[It] ventures into some new musical genres for me, specifically pop, EDM, R&B and hip-hop, and I wanted to share that musical experience with my fans," the singer noted in a release. "Of course, there are reggae, dancehall and soca tracks for my existing fanbase, but this new album reflects the new Ce'Cile." Change and the perennial quest to sample the new and the next is something that understandably informs the work of our Jamaican hitmakers, and reggae soldiers Protoje and Duane Stephenson are poised to reflect this in their upcoming projects. While Protoje's tentatively titled and eagerly awaited Ancient Future has no confirmed release date, Stephenson's Dangerously Roots officially goes on sale Sep. 23. Admittedly, as both musicians outlined in interviews with TALLAWAH earlier in the year, their new albums seriously challenged them to step outside their habitual zones and bring fresh vibes to the booth. Stephenson, for one, has described Roots as his "edgiest album" to date, and that is saying something for a record coming in the wake of the richly modulated Black Gold and August Town. Meantime, it remains to be seen (or heard, for that matter) how Protoje's new work measures up to the sublime Seven Year Itch and Eight Year Affair, both of which remain staples on playlists everywhere. And while Carlene Davis puts the finishing touches to her forthcoming release, Judith Gayle, another formidable woman in gospel, is ready to drop It's Gonna Be Alright, an album laden with her trademark fiery and foot-stomping ministry, sure to enliven folks from the backyard barbecue to the Sunday night concert. It arrives in November.